Not all materials are created equally, and fashions come and go. So what are the latest kitchen material trends when it comes to designing a kitchen or bath? Melania Holiat is director/designer of Trade Mark Design & Build, based in Hawthorne, New Jersey, and is also a member of the American Society of Interior Designers (ASID). Here she talks about some of the most fashionable materials being offered today. There are many new up-and-coming materials in the building industry, some of which are just starting to have an impact on the design world; others which have been around for a while but are nonetheless still gaining in popularity. It’s all about getting away from ordinary materials and experimenting with different elements. Bamboo: Becoming more and more popular as it grows fast, looks nice, is durable and sustainable. Lava: Fairly new in the marketplace, the lava we use is harvested in France from the mountains there, is cut into slabs and then kiln-dried. Depending on the look that is desired, various glazes can be applied, either glossy or grackle glaze. Interestingly, lava countertops wear just as well as granite countertops, as they have the same type of wear rating. Glass: Countertops made from glass are becoming incredibly popular. They are coming out in variety of thicknesses, textures and patterns, and therefore we are not limited to a plain clear generic focal point. We are also able to put things into the glass – air bubbles and shells, for example – to add interest and texture and create a unique piece. Concrete: Also popular material for a countertop as you can put all sorts of things into it, including branches, heirlooms, coins, keys and knickknacks. They are put inside and then sealed with an acrylic coating to maintain their quality. 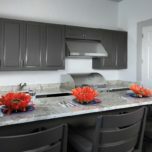 Concrete countertops can either have a matte or a slightly polished finish, and come in a variety of colors. You can go from any color you imagine, and can even do a countertop that integrates into a sink, which means one piece of concrete is molded downwards seamlessly into a sink. When it comes to kitchen cabinetry, then bamboo, stainless steel and glass are all the most popular when it comes to current contemporary trends. High-gloss acrylic is particularly popular, with the trend leaning toward bright, vibrant colors, including crimson, magenta, chartreuse and anything that is nice and bright. These cabinets are often accented with stainless steel panels or sleek black countertops to give a contemporary look and feel to your kitchen. All types of flooring have come back into fashion these days. Recently, many people wanted to a wooden floor in every room of the house, even the kitchen, where it was not always durable. Now we have cork, which is an interesting material, one that is much more versatile than you might think. Now we are also seeing a lot of tiles that are made to look like wood planks, so you have the durability and maintenance level of a tile, but the look of an actually wood floor. It looks realistic, in part, because it can be bought in the same lengths that wood flooring come in. Trade Mark Design & Build offers free quotes and kitchen design plans with no obligation, contact us at 973-636-0100 to get started on your kitchen project and learn why we are known for making “Home Remodeling Simplified”! 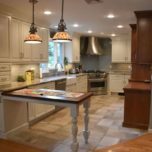 When planning a home remodeling project, whether you are remodeling a kitchen, increasing the size of your home with an addition or replacing your kitchen cabinets, it is important to plan ahead. Knowing where to start, how to budget, and who to contract for the work can be overwhelming. This home remodel planning checklist below will help you in your project planning. Create a scope of work "Wish List"
Choose a home remodeling contractor to start your project! 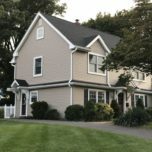 A scope of work is basically your home remodeling “wish list” with some additional defined criteria that will help you later on when its time to get bids for the work. The natural progression of a scope of work would begin with the demolition, followed by rough framing, rough mechanicals, insulation, sheetrock, Floor coverings, finish carpentry/cabinetry, countertops and end with painting. Armed with the scope of work you are now ready to get some pricing for your project. The bidding process will vary depending on what type of home remodeling project you’re looking to have done. Smaller projects like a countertop replacement can be can be quoted by going directly to the countertop supplier of your choosing and supply them with your requirements. 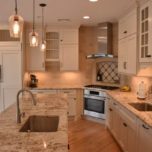 Larger home remodeling projects like a Home addition or a kitchen remodel will require multiple sources (appliances, plumbing fixtures, tile, ect.) and you’ll need to hire a home remodeling contractor that is familiar with your type of project. At this point you have a good understanding of what it is you want to remodel and how much you are willing to spend on the project, now it's time to choose a home remodeling contractor to work with on your project. Look for a good online presence, read their reviews of what others have said about them, review their portfolio to see their past work - make sure it meets your expectations and goals. Some places to check for this info are as follows; Google Business listings, Houzz and Yelp Business listings. 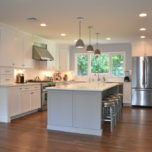 Houzz is a great place to read reviews and view portfolios. Navigate to the "Find Professionals" at the top of the page, select the type of professional you are looking for, then set the parameters for the geographical search area. This is also a great way to qualify referrals you may have received from family and friends. After you have decided on a few home remodeling contractors to interview, don't forget to ask for some past clients contact info so you can speak to them directly. During your interview with the home remodeling contractor be sure to ask how long the proposed project will take based on similar past projects. 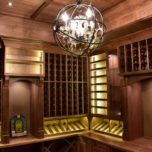 There are many factors that contribute to how long a home remodeling project will take - town requirements, custom cabinets, back ordered items, ect. so each project will have its own timeline that will need to be calculated by the contractor before the work begins. 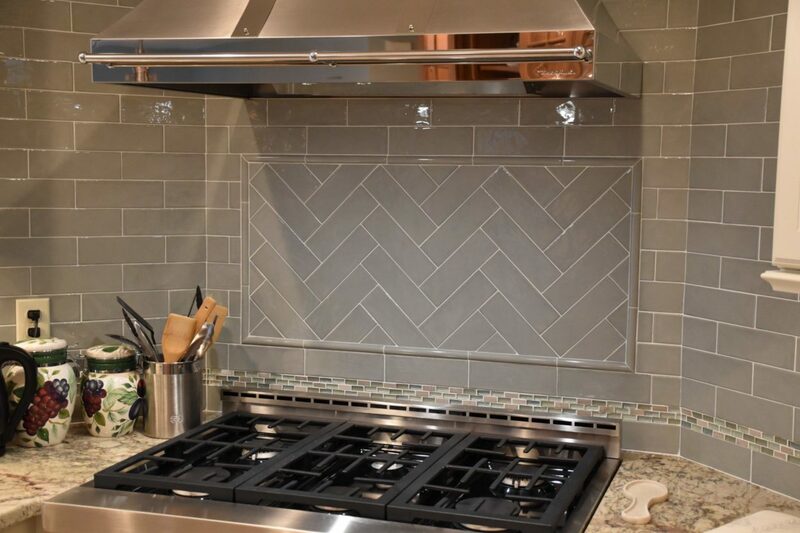 Generally speaking a kitchen remodel would be considered very fast with a production schedule at 5 weeks and typically takes about 7 weeks to complete. Knowing what you’re kitchen is going to look like and how much it’s going to cost to build before you make a commitment is the best way to choose a kitchen designer. 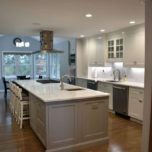 After you have completed your kitchen planning research and narrowed down the choices to two or three candidates you’re ready to start reaching out and setting up the initial kitchen design visits. What takes place at the initial kitchen design visit? 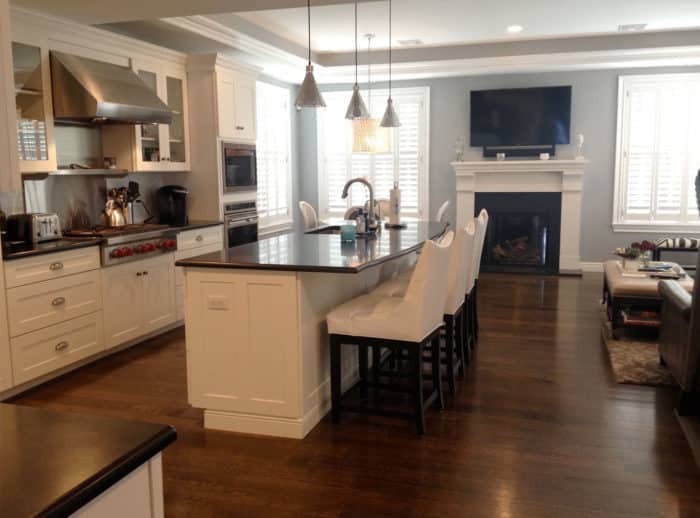 During the initial visit in your home the kitchen designer will take field measurements, observe traffic patterns, discuss needs and wants and review your vision for the space including what type of materials you may want to use. A general concept is discussed and agreed upon along with the potential budget required to build the project. The next step is for the kitchen designer to develop this information into a set of conceptual drawings that will be the basis for the next meeting. Are you comfortable with the kitchen designer, will you enjoy working with him/her? Do you have to use the kitchen designers sources for the materials or can you select your own sources? What items are not included in the budget and who is responsible for them? Who will create the construction, electrical, and tile design plans? What’s an average build time for similar projects completed? How much of a variance do you typically see in your proposals? Here, the proposed kitchen design plans and budget are presented for review, this will be your first opportunity to see your new kitchen in the form of a floor plan, elevations of the walls with cabinets and 3-D perspectives. It’s very exciting see all of the ideas take shape, the kitchen designer will walk you through the layouts and how everything came to be. A detailed line item proposal based on the conceptual drawings that were created will contain items such as; architects fees, specific building materials, cabinetry budget, countertop allowance, etc., will also be presented that’s based on the drawings that were created. At the end of this meeting you will have a full understanding of what your kitchen will look like and how much it will cost to build. Does the kitchen layout fit your lifestyle? Is the overall concept pleasing and functional? Who handles all the logistics and scheduling? Who will handle the permit process? 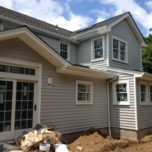 What type of care will be taken to prep the home prior to the start of construction? 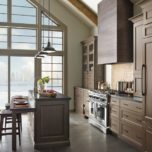 Does the kitchen designer pass on “trade discounts” to you? Were you “wowed” by the design? Did the kitchen designer really “get you”? Can you see yourself working with him/her? How does this offer compare to others? How much time and thought was put into the initial proposal?